An inspirational book about leadership from the most successful British football manager of all time. 'One of the World's all-time great leaders' Professor Anita Elberse, Harvard Business School What does it take to lead a team to world-class success over a sustained period of time? Sir Alex Ferguson is one of the few leaders who truly knows. In his 38 years in management, Sir Alex won an astonishing 49 trophies and helped grow Manchester United into one of the biggest commercial brands in the world. In this inspirational and straight-talking book, Sir Alex reveals the secrets behind his record-breaking career. LEADING is structured around the key skills that Sir Alex values most highly. It includes subjects we immediately associate with his managerial style: Discipline, Control, Teamwork and Motivation. But it also addresses subjects that are less obvious but no less important when seeking success: Delegation, Data Analysis and Dealing with Failure. 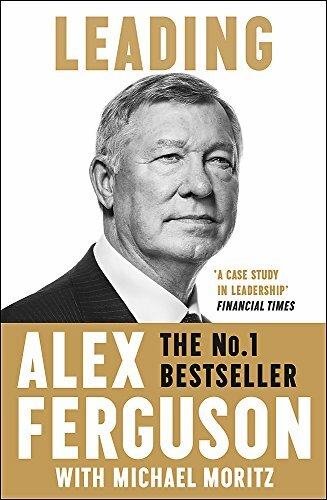 Written with the investor Sir Michael Moritz, a longstanding friend of Sir Alex, LEADING is packed with insight, wisdom, humour and honesty. The individual stories inevitably concern themselves with football, and the phenomenal success that came along the way, but the lessons can be applied by anyone. Whether you run a business, teach in a classroom, or work in a small team, LEADING will help you become a better leader.